Single Vee pulleys can only support alternator power loads (PTO) of up to 100A for 12V applications (45A for 24V applications). A serpentine pulley provides greater surface contact between the belt and pulley, and thus can accommodate much higher PTO requirements. AltMount® Pulley Kits are designed uniquely for each engine listed below, including all the hardware required to complete the installation. The system is installed by placing and fastening a conversion pulley over the existing crank pulley and replacing the water pump pulley. Two serpentine belts are provided with each kit. AltMount® Pulley Kits are designed to be used with Balmar Alternators. We cannot guarantee fit with other brands of alternators. AltMount® Pulley Kits install easily and deliver a marked improvement in power transfer while reducing noise and engine vibration. View the installation video below to see how easy it is to install an AltMount® Pulley Kit, then select a kit for your engine from list! Specify an AltMount® Pulley Kit for your needs from the drop-down lists below. 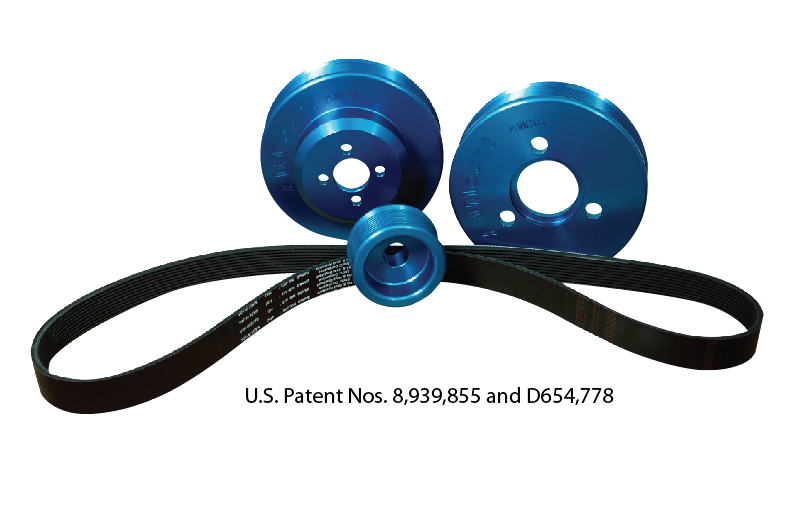 AltMount® Pulley Kits are designed and produced specifically to fit each engine listed. New AltMount® Pulley Kits are constantly under development. If you do not see a kit for your engine, contact us or call our Technical Support line at 1.360.435.6100 x3. AltMount® Second Alternator Kits provide the ability to add a high-output second alternator for increased charging output from a single engine. These kits are an ideal upgrade for serious cruisers and others who depend on the propulsion engine for fault tolerance or substantial battery charging needs. (For use on Yanmar engines with 95-Series Alternators only).